Lazy Oafs, a brand that sell streetwear products with a mix of casual and statement pieces…good place to start if you ask me! Founded in 2001, Lazy Oafs have done their own thing, not restricted to seasonal trends or looks. Refreshing, I know! Driven by founder Gemma Shiels, it’s clear to see why. The brand is a representation of her and how she perceives things. Bright, young, quirky with a late 80’s/90’s influence. There’s nobody out there doing stuff like them. Fun. Different. Individual. What other clothing brands do you know that collaborate with Looney Tunes? Insane! The menswear collection is ridiculously good. 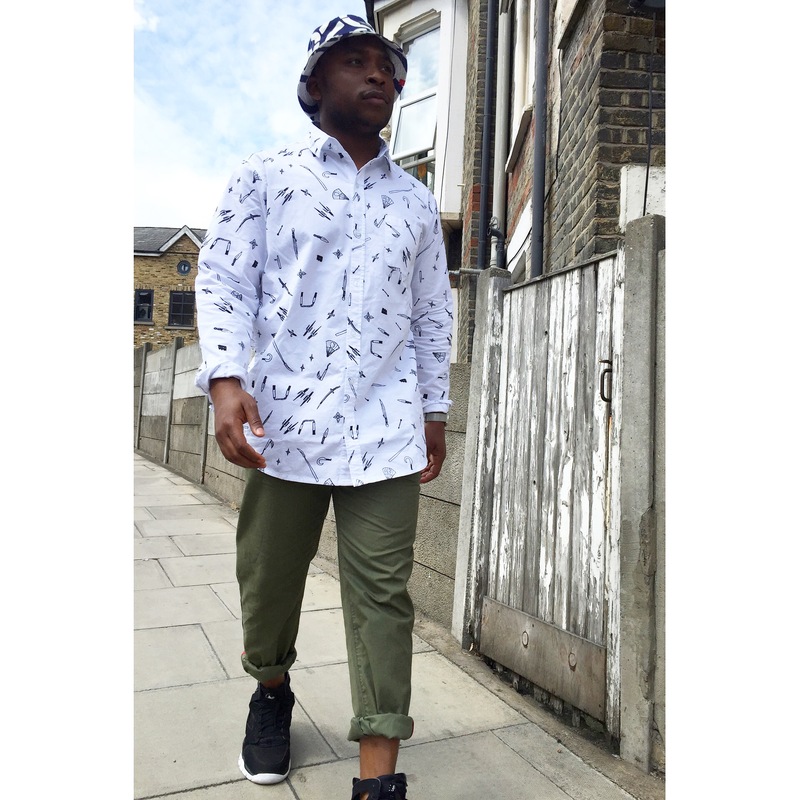 Tailored yet baggy shirts with bold and huge prints. Right up our street. This is definitely a brand to keep your eye on, but you probably have been already and rightly so. Onto the outfits. 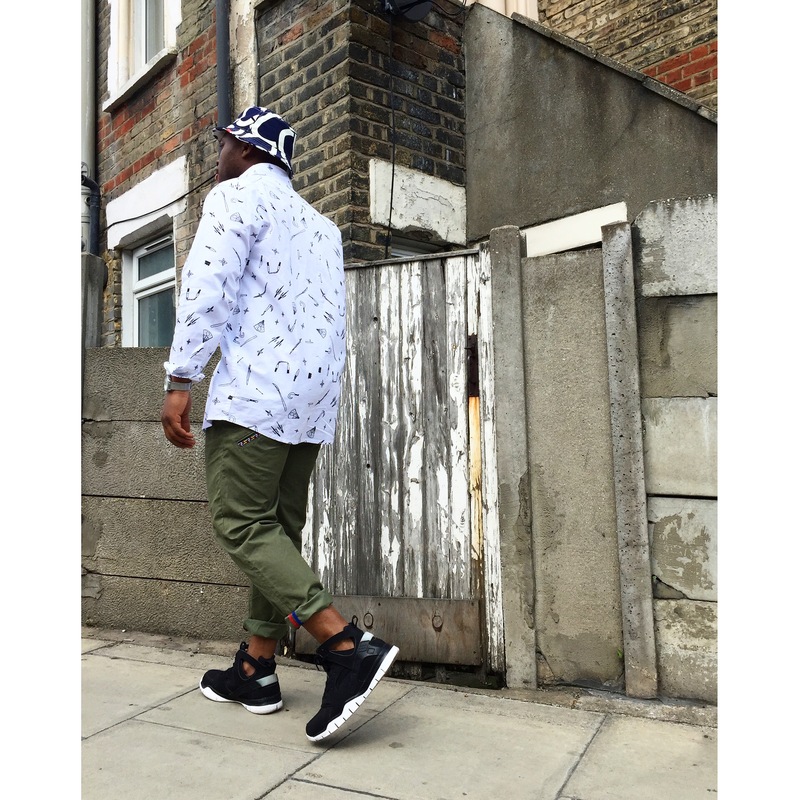 Wore casual baggy Khaki bottoms from SNCLBrand, plain and simple, not taking away any attention away from the prints of the shirt and bucket hat, which was reversible to my suprise! Wore Nike high Hurache Free’s, adding to the street and casual element of the outfit. 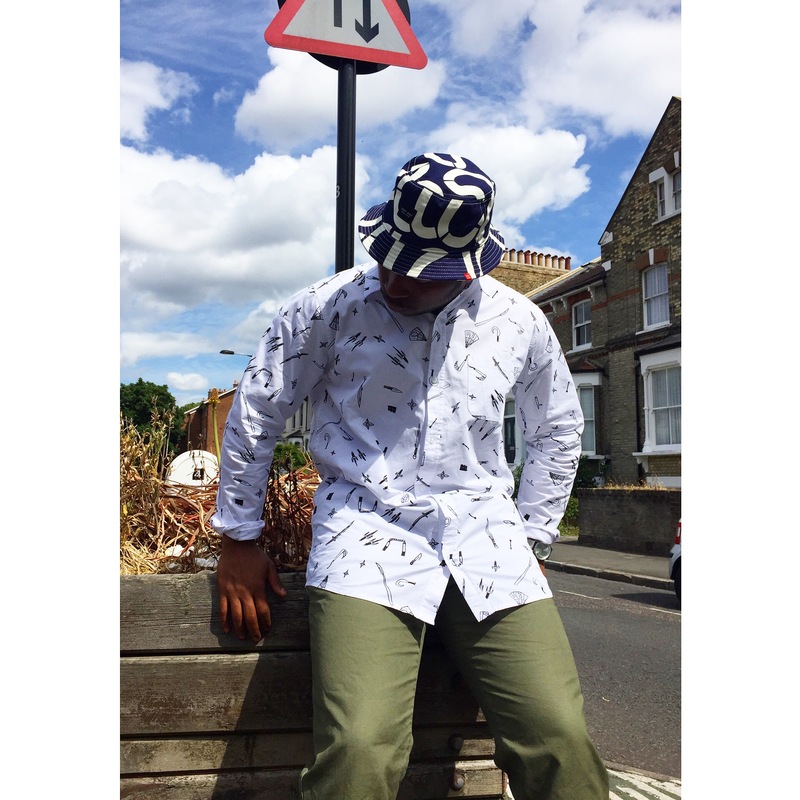 Top half, wearing Ninja Weapons shirt with Broken Lines bucket hat. Love this outfit! Well done!! I’m in love with this outfit!! Always loved Lazy Oaf! You can instantly recognise their gear without seeing the label, a true sign of a distinctive brand. I appreciate the way you kept the outfit fun, but also incorporated your street style, remaining authentic. Great job.